Today is the future you were talking about yesterday, and you probably need some gadgets for it. And San Francisco-based startup company Eero wants to give you precisely that. Meet EERO Wi-Fi Router, a handsome device that will help you get full Wi-Fi coverage in your home – and it is a pretty good-looking gadget too, according to photos. 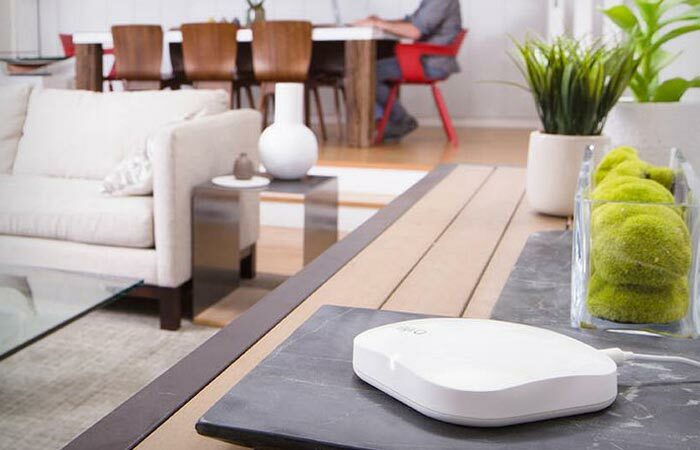 Expected to go on sale this summer, Eero works on the 2.4-and 5GHz frequency bands. 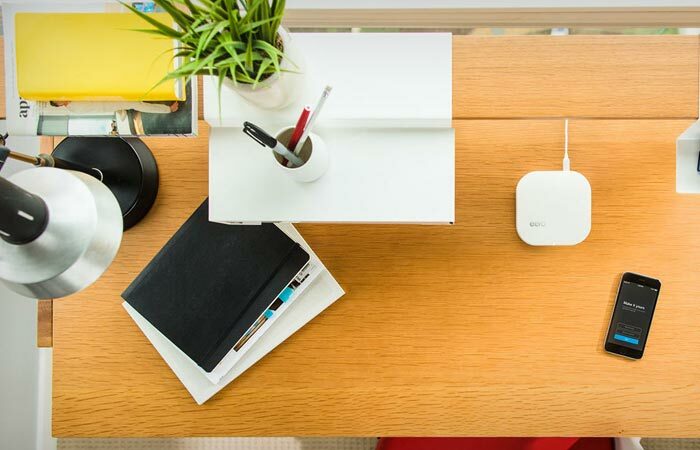 The Eero hardware designed by Fred Bould is something that will pretty much fit in any home: painted in white and with a tiny antenna sticking out, Eero is a gadget you will not want or need to hide under your desk. It is really small, measuring 4.75 inches square and 1.26 inches high, so it won’t claim a substantial spatial footprint in your home or office either. 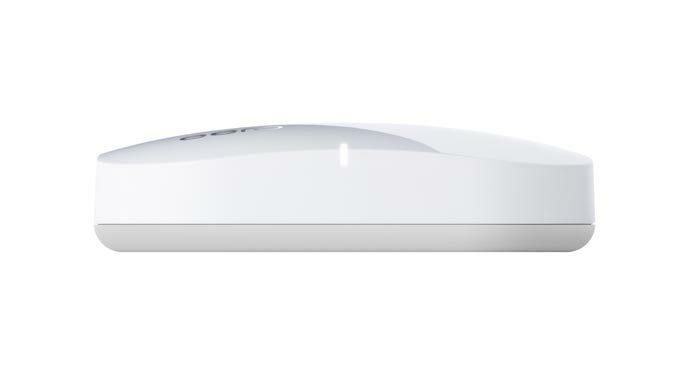 Smart and versatile, Eero is equipped with two Wi-Fi radios, a 1.0GHz dual-core processor (the company refused to reveal the exact type and the only piece of info they disclosed is that it is an ARM), all topped by Bluetooth 4.0 with Bluetooth low energy, 1 GB of flash storage, and 512 MB of memory. Slot-wise, each Eero has only one USB port 2.0 and two auto-configuring Ethernet ports and uses Eero’s own software. What sets Eero system above other routers is that it is a really smart one and it comes in a three-pack box, which translates as outstanding Wi-Fi coverage with no dead ends in your home. Plus, you’ll also need minimal time to install it thanks to its clever user interface and uncomplicated software. In theory, and it is all we have for now, the setup goes something like this: you connect the first unit to your cable modem, then you use your smartphone to connect to the primary router via Bluetooth, and lastly, you just plug the remaining Eero gadgets into power outlets in your home. All Eero devices will then communicate automatically, so all you have to do is choose a name for your network, pick yourself a password, and that’s it. 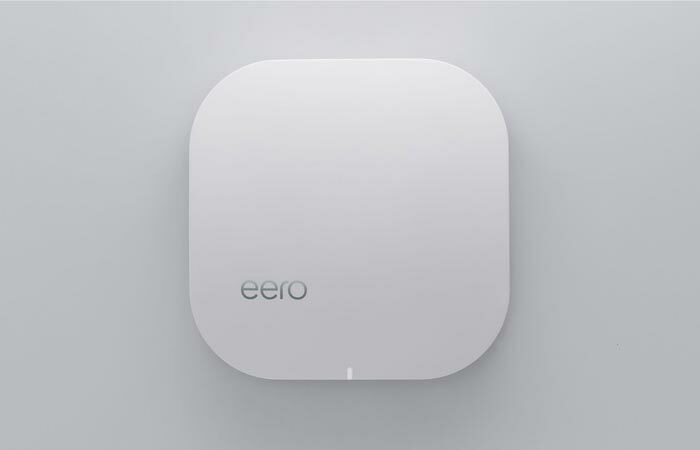 Eero promises that once you’ve chosen your pass and network name, the device will do everything else on its own: for instance, it will automatically connect to the cloud and download all security updates. Your connected devices will see the mesh networks as one, and they will also be able to search for the best frequencies to cut interference. One truly great thing about this device (and there isn’t just the one, mind you) is that Eero founders claim there will be no need for you to reset the hardware. Yet another impressive detail about Eero is the companion smartphone application which can tell you where to put the other two devices by sensing areas with a weaker signal. Check out the video below. Eero can run speed tests on its own, but it will never cut off your signal while you are downloading or streaming media content. The device will reboot itself in case of any problems and fix issues on its own after sending a notification alert to your phone. With Eero, you will also be able to send login info to a guest who wants to access your network and you will be notified immediately as soon as a new device joins your network.